Since our doors opened in 1960, Maintex has operated a state-of-the-art on-site chemical laboratory and private manufacturing facility. A rigorous quality control process ensures that our products meet the highest standards for performance and reliability. Every Maintex chemical undergoes a precise process of formulation, testing, and inspections before we bottle it up and send it to you. 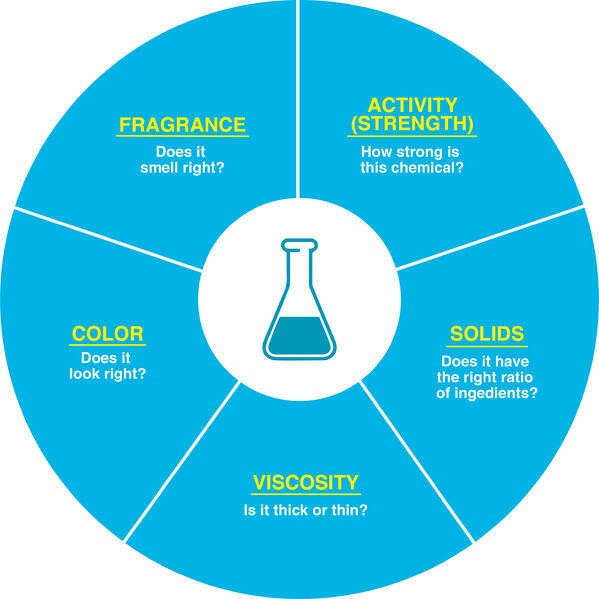 Every chemical produced at Maintex starts with a tested, proven formula. We have over 400 unique chemical formulas and we follow each one to the letter. When an order is placed, our Purchasing department confirms that we have all the high quality raw materials we need to produce the chemical correctly. Even in these early stages, it’s critical to work with trusted suppliers to ensure that every raw material is up to our discerning standards. Our compounders then measure and mix the materials in one of our 1000 gallon tanks. California is home to some of the most stringent regulations and inspection frameworks in the nation, and we take pride in meeting and exceeding those standards. 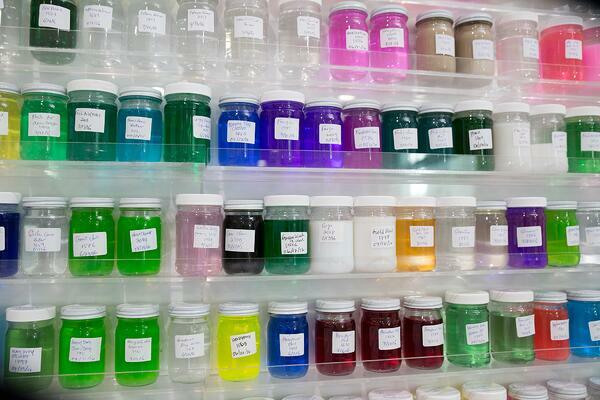 Once the testing is complete and the chemical batch is approved, it’s sent to one of our filling lines. After the bottles have been filled, another sample is taken to ensure that there are no impurities or contaminants in the finished product. The batch is tracked at every step along the way. 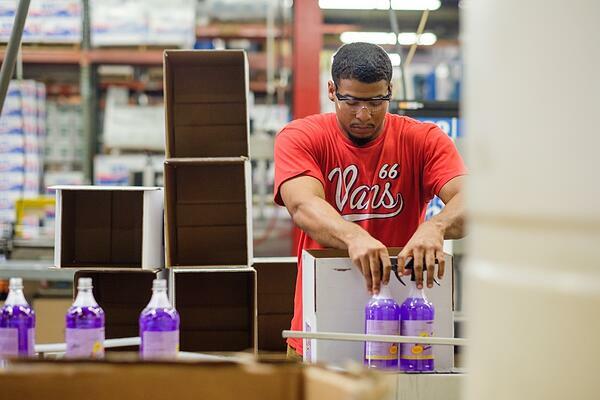 We always know who mixed, filled, bottled, capped, inspected, boxed, and palletized every batch of every product. Once the chemical is mixed, tested, packaged, and approved, we load it onto our trucks and send it to you, our customer! A sample from every batch is saved in our chemical library for at least a year, alongside records of each step in the formulation process. This library helps us to troubleshoot any challenges and prove the quality of our products to regulatory organizations, if needed. Chemical manufacturing is a unique part of Maintex’s history. 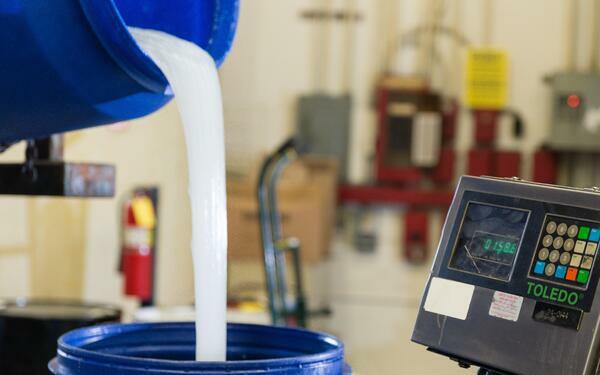 Our safety and quality controls continue through the entire production chain, all the way from evaluating and sourcing quality raw materials, to compounding, to filling, packaging, storage, and shipping our chemicals to you.